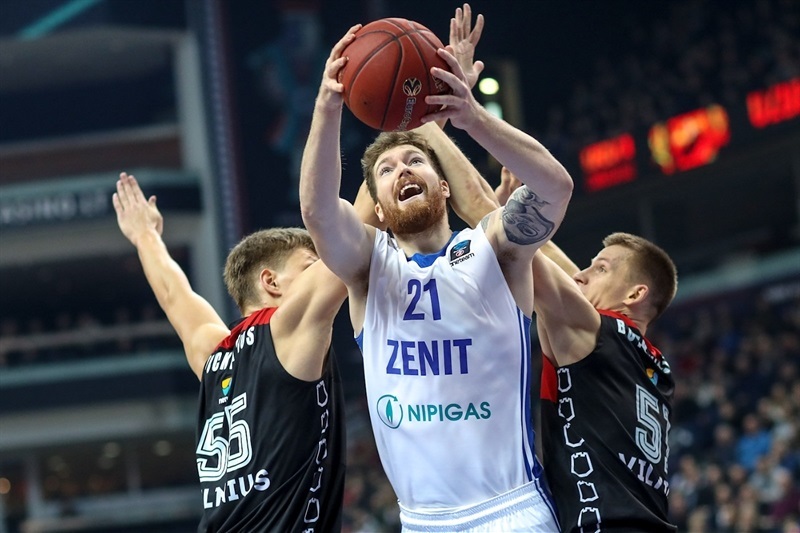 In an exciting clash that went down to the wire, Zenit St. Petersburg held on to a 96-98 road win over Lietuvos Rytas Vilnius in the Top 16 Group F opener for both teams on Wednesday. 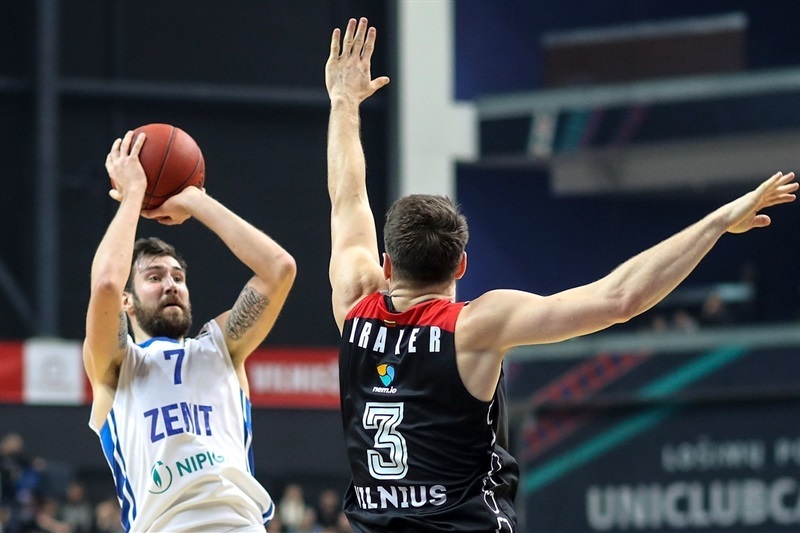 Zenit took the lead in the second quarter and controlled the game for most of the second half, even leading by 10 points in the fourth quarter. But Travis Peterson rallied Rytas, which regained the lead with 46 seconds to go. However Zenit scored free throws and made a pair of defensive plays to pull out a valuable road win. 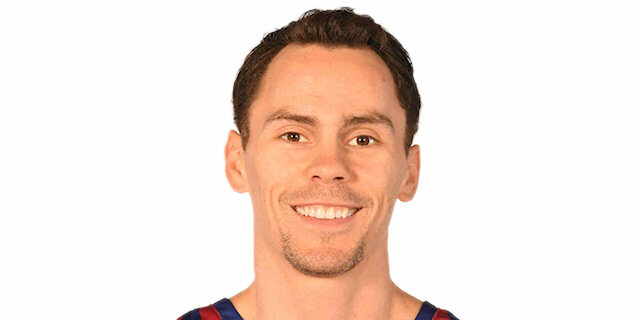 Kyle Kuric netted career-best 30 points on 5-for-7 three-point shooting, and Drew Gordon collected 23 points and 8 rebounds against his former team. Sergey Karasev added 16 points and Demonte Harper chipped in with 11 in victory. 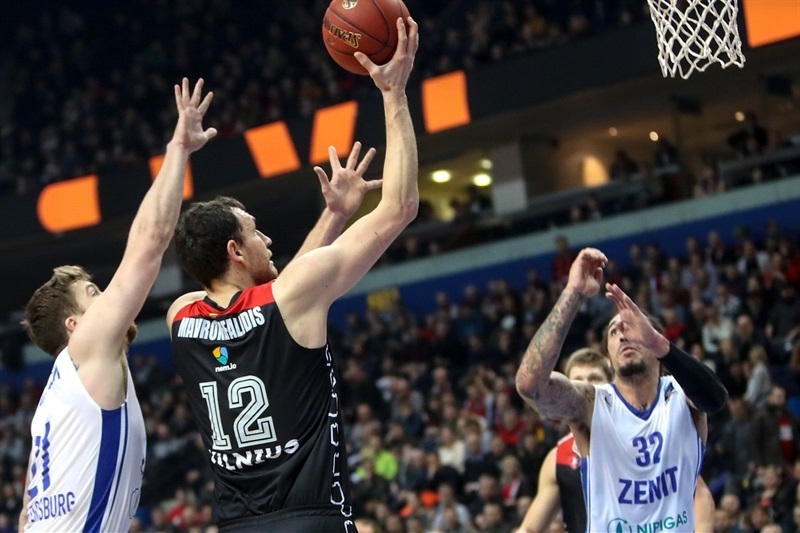 Loukas Mavrokefalidis led the hosts with 22 points and Peterson finished with 19, Rokas Giedraitis had 12 points and 6 assists, Chris Kramer had 11 points and 7 assists, Martynas Echodas scored 11 and Egidijus Mockevicius had 10 in defeat. 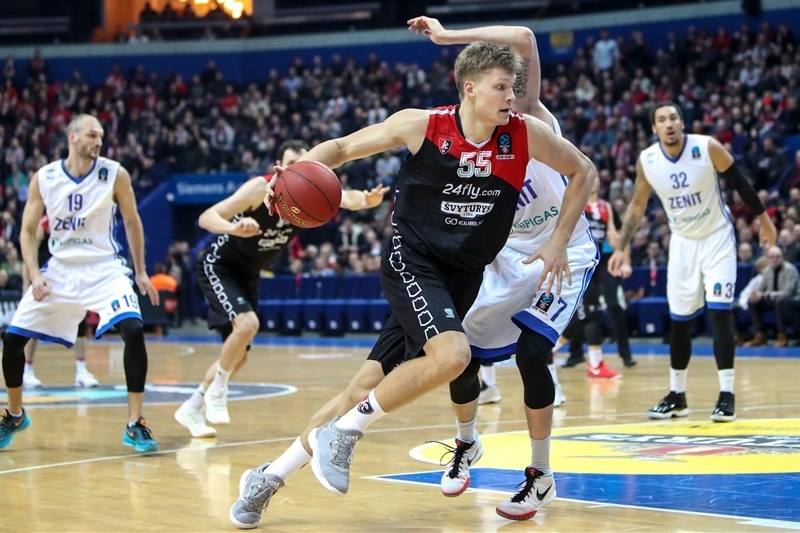 Rytas started building a lead early on, going inside to Mockevicius and Mavrokefalidis. 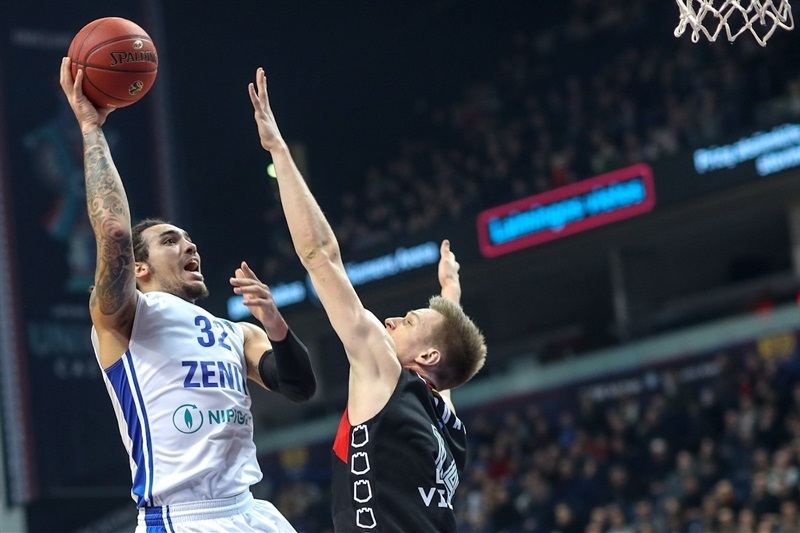 Zenit countered through Gordon, but a three-point play from Echodas opened a 17-12 margin. Kuric banked in a floater, but Peterson had baskets on consecutive possessions and Mindaugas Lukauskis made it 26-17 after 10 minutes. 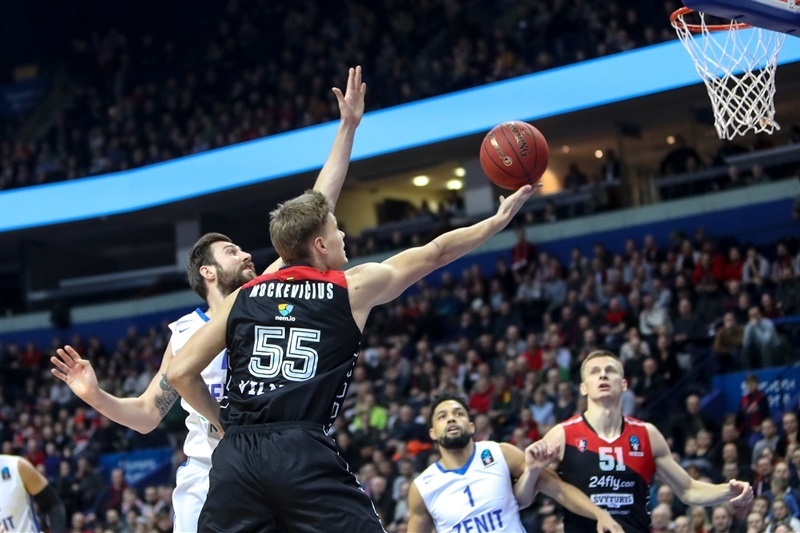 Mockevicius had a put-back and Peterson a three-pointer – the first long range shot in the game for either team – to make it 33-21 after two minutes in the second quarter, but Gordon got Zenit going before Kuric scored 9 consecutive points, including Zenit’s first triple of the night, to make it 35-32. A put-back from Gordon, and Kuric’s second triple tied the game at 39-39 before back-to-back three-point plays from Voronov and Kuric put Zenit in front for the first time, 39-45. 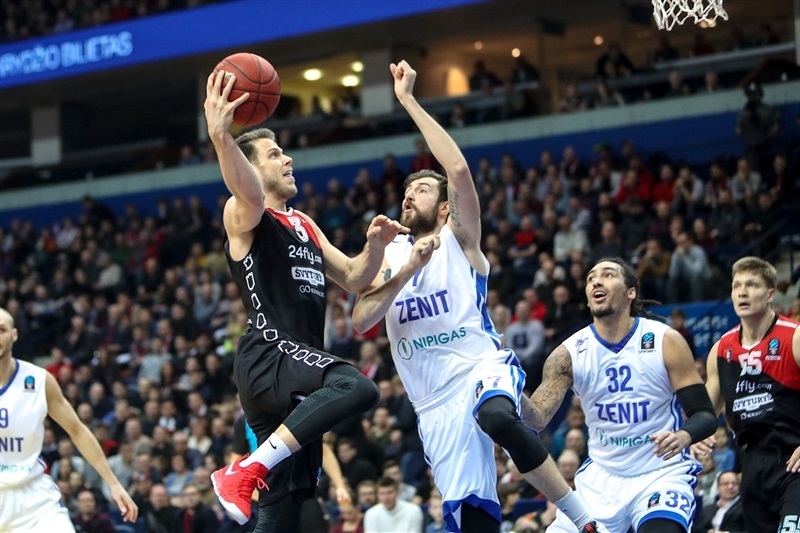 The hosts were held scoreless for more than two minutes before Ben Madgen drilled a jumper to snap a 0-9 run, and Zenit went into halftime up 41-47. Mavrokefalidis hit a triple that helped the hosts get within 50-51, but Kuric answered with a three and Evgeny Voronov nailed a long jumper to open a 50-58 margin. Arturas Jomantas, Echodas and Giedraitis went inside and scored for the hosts, but triples from Karasev and Harper kept the lead at 56-64. Echodas scored two more baskets, including an alley-oop dunk, and Mindaugas Girdziunas had a fastbreak layup that made it 63-66. Zenit finished the quarter strong as Gordon scored in the low post, and Kuric nailed a tough triple to make it 63-71 after three quarters. Karasev’s steal and a fastbreak dunk by Harper established a double-digit advantage, 65-75, after 64 seconds in the fourth. But Rytas halved the deficit in less than 30 seconds, thanks to Peterson’s triple. His second three cut it to 77-81. Karasev hit from long range to give Zenit a 77-86 advantage and breathing room, but only briefly as Peterson knocked down his third three of the quarter and 3 of 4 free throws as the hosts tied things at 86-86 with three minutes to go. Harper and Giedraitis traded triples, followed by a three from Kuric to put Zenit up 89-92. But Kramer hit a three-pointer with a hand in his face and Mavrokefalidis scored inside to give the hosts a 94-93 edge. 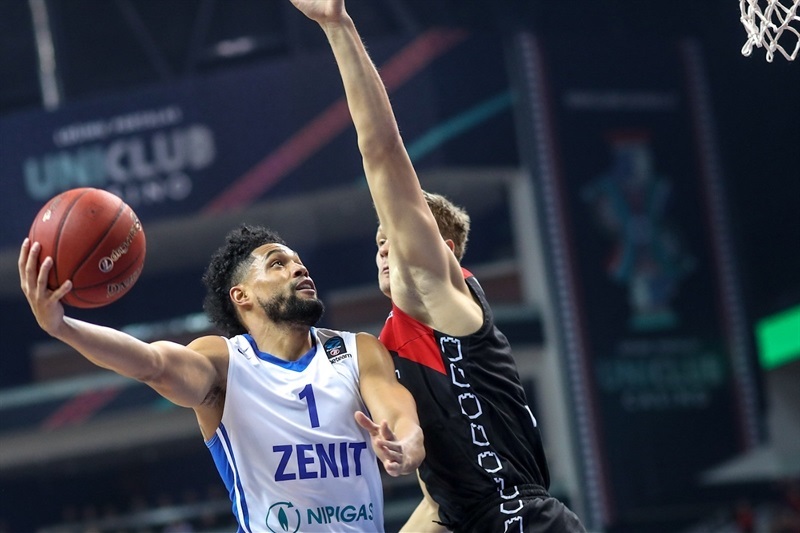 However, Zenit got to the free throw line twice and Karasev and Scottie Reynolds gave the visitors a 94-97 lead with 21 seconds to go. 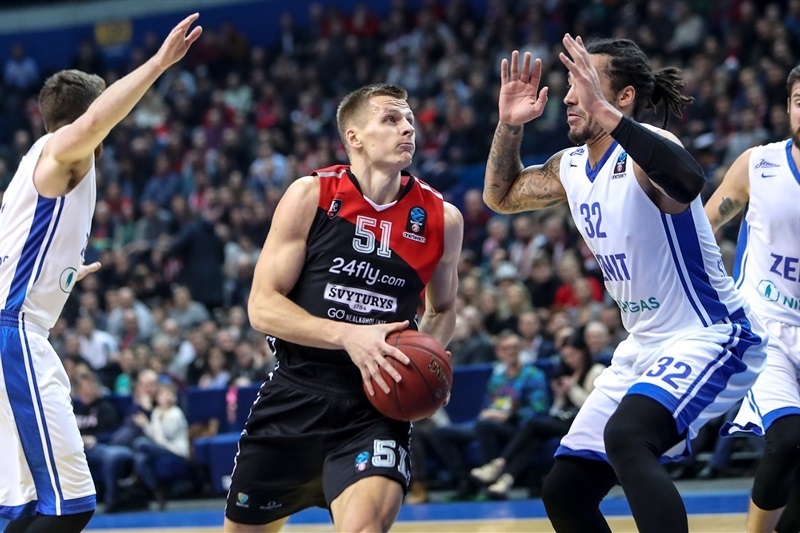 Rytas did have a chance to win or tie, down 96-98 with 9 seconds to go, but the visitors stole an inbound pass and preserved the win. 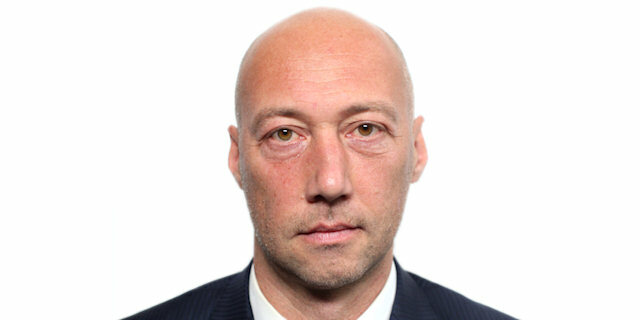 "I want to congratulate Zenit for a good game and a victory. The Top 16 just started and we wanted to win at home, but it is what it is. We are thinking about the next game." "I think it was a very interesting and important game. It's the second round and you see what's happening. Every team wants to win and every team wants to make the playoffs. First we started without defense and later on we got better. In the third quarter we were up by 10, but did stupid mistakes. 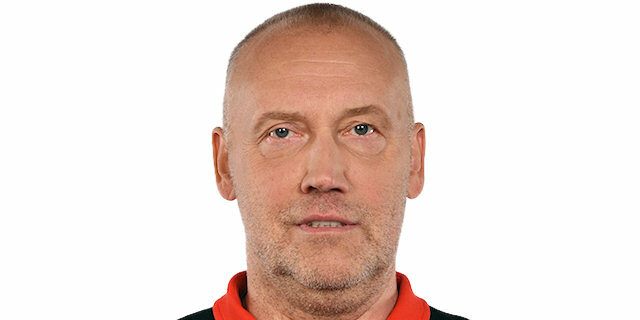 That's why Rytas tied the game. All in all, I'm happy that we won." "I cannot say that personal statistics are very important to me. It was more important for me to return to the form I had at the start of the season. I had a certain decline, but today I played good basketball. The most important thing is that we were able to start a new round with a victory."